In Africa plans are always subject to change. It requires flexibility. This blog was scheduled to be shortened for the summer months. However, things are happening that require us to post here twice per week on Tuesdays and Thursdays for the next several weeks. 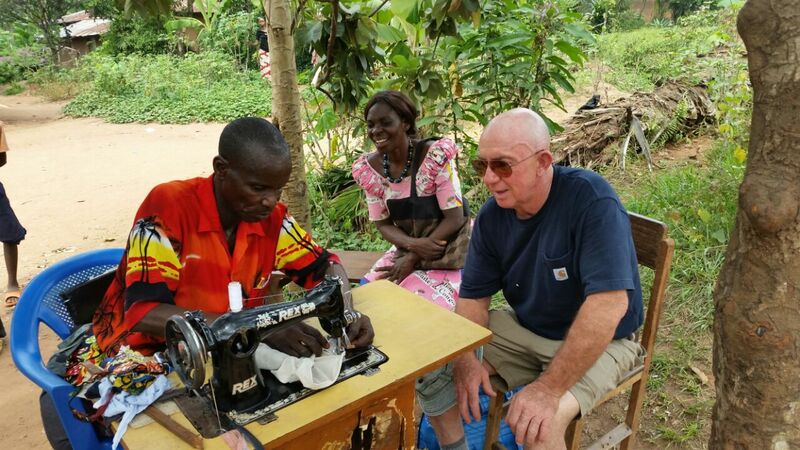 Be sure to check back as things are busy for our ministry in Congo right now. Your prayers are very much appreciated. Stan was sick earlier this year. His doctor recommended that he not make the trip to Congo this time. Dale Beverly took his place. Dale is a veteran missionary from Kenya, but was born and raised in Tanzania. Dale and Fred Suter are working on a water project at Tshikapa right now. Your prayers are requested for them to successfully dig wells for the people. Am on plane. Adventure here we come. Am in Paris to pick up more people. Then on to Addis. Am in Kinshasa. Just arrived. They lost my 2 big suitcases. Been to church and everywhere. Will send photos. Am on taxi now, music blaring and crammed. Can’t get any word on luggage. Am waiting for taxi to small airport with Fred. Am traveling light. Ha Ha. Am ready for a wonderful adventure today with my Lord. That’s Dale in the land rover hat in the photo on the right. Looks like he found some clothes to purchase and help the local economy. 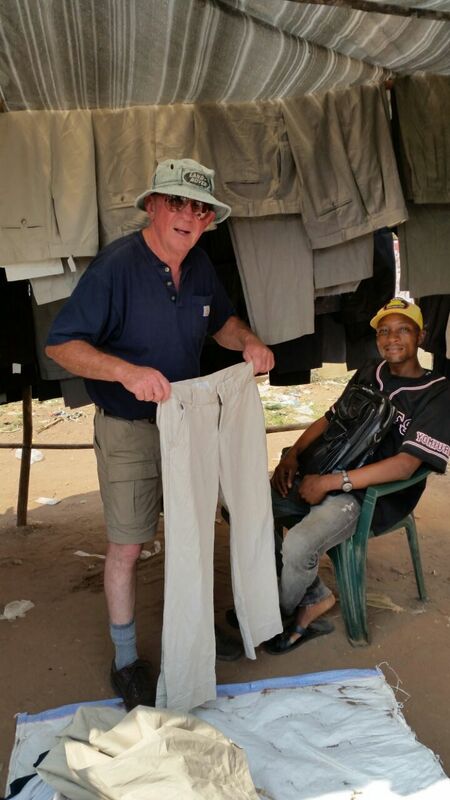 Both of us (Fred and Dale) purchased clothes in the local market. One of my suitcases is still in Kinshasa.I hope to have it later this week. We are talking with people about where to drill the next well. In the meantime, the pineapples and mangoes are outstanding. We’ll post more on Thursday. Follow us so you won’t miss a single photo or story. The “new” used pants needed some adjustments.